Pumpkin Pie Pillows. 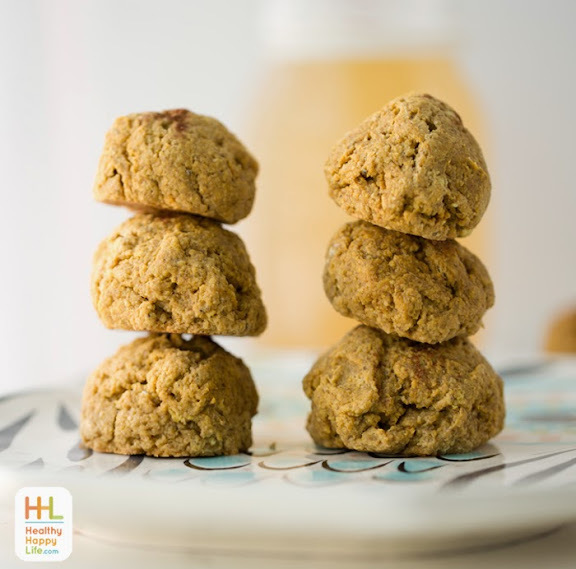 Low-Sugar, Vegan Cookies to Nibble! Yesterday I shared my favorite healthy fall beverage, Spicy Fresh Ginger Tea. And today I want to share with you the cookie recipe that I think pairs perfectly with it! 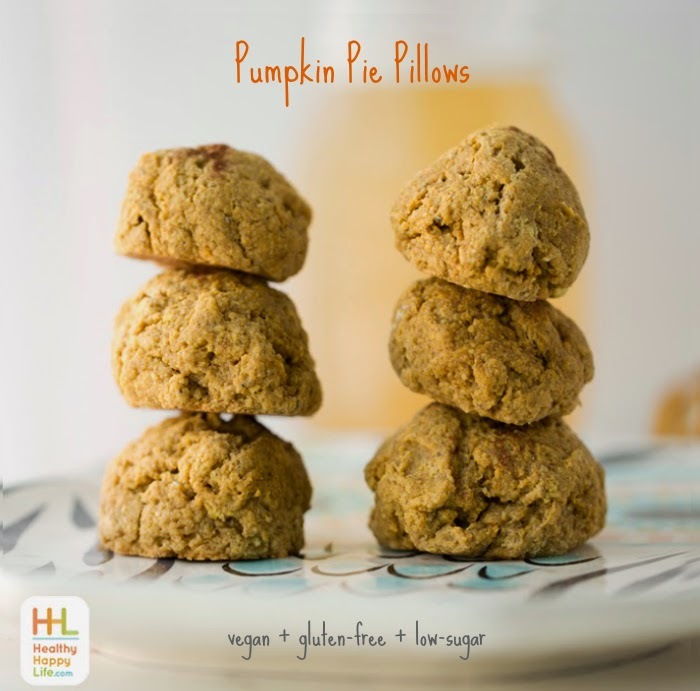 These Pumpkin Pie Pillows are low in sugar, soft and tender. 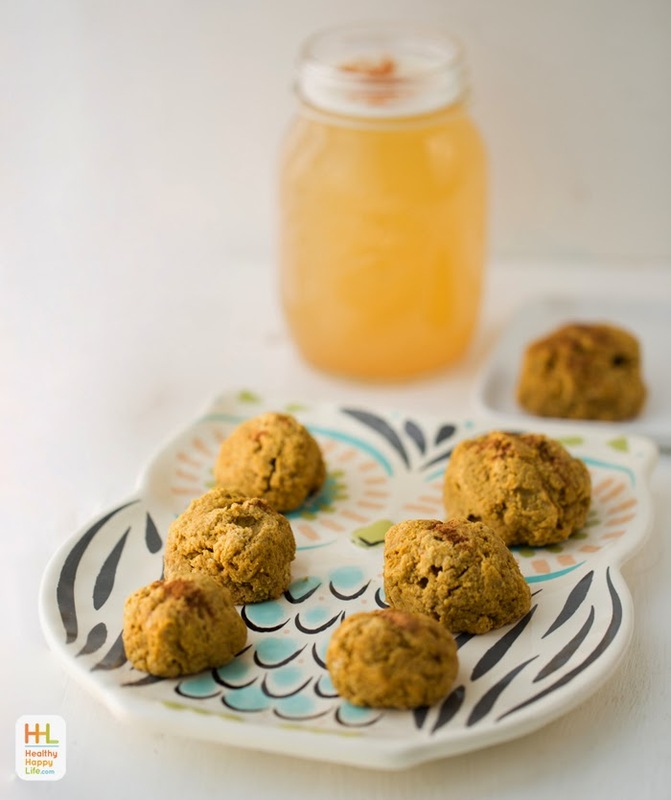 They are delicious served on-the-go or settle in and pause on your busy day as you nibble each bite and sip some tea. 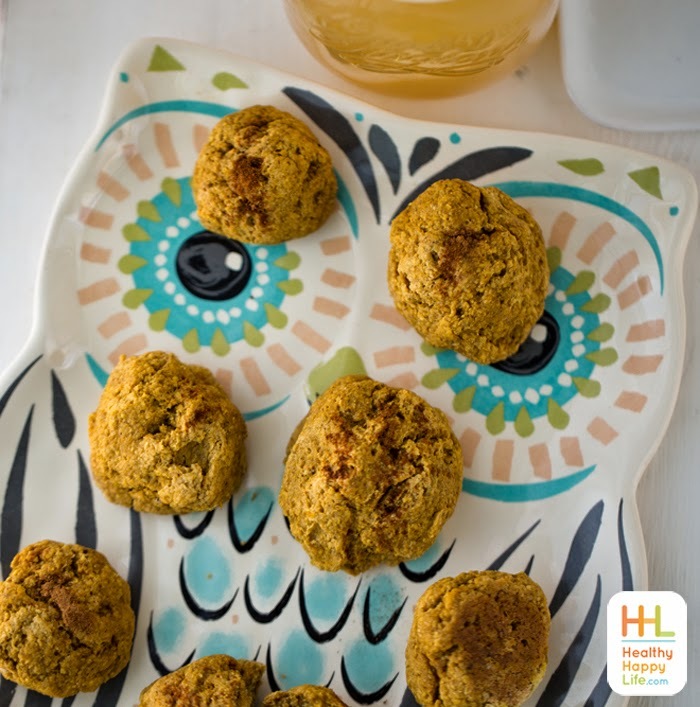 Spices, pumpkin, oats, apple, chia - plenty of healthy ingredients in each tender pumpkin pillow. 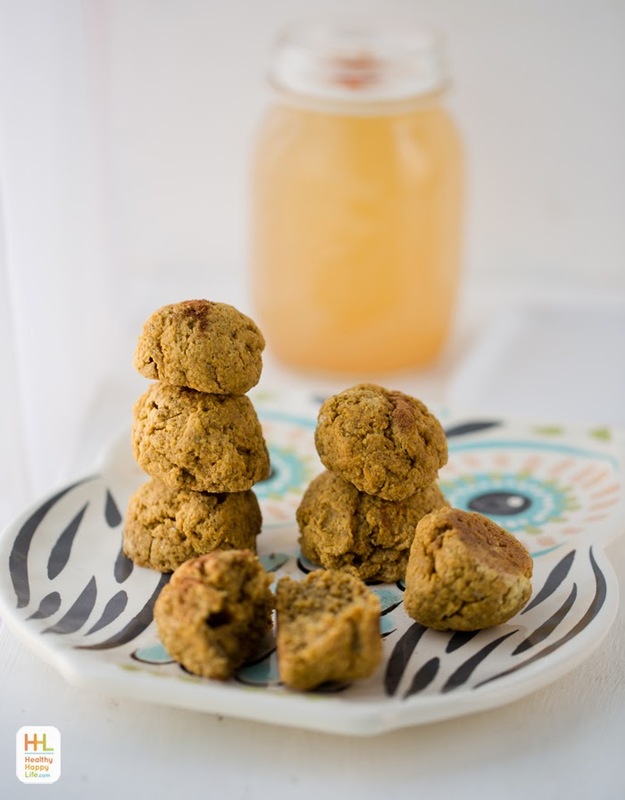 Get this vegan, gluten-free, low-sugar recipe!.. These modest-looking round little cookies pack quite a punch with healthy ingredients, flavor and texture. Though these cookies are lower in sugar and bold sweetness than most holiday-season cookies, they are still totally satisfying. And will not cause those spike-and-crash blood sugar effects from sweeter treats. And you may even notice that just one cookie satisfies, unlike higher-sugary treats that leave you wanting more and more sugar to consume. Why do I love these so much? 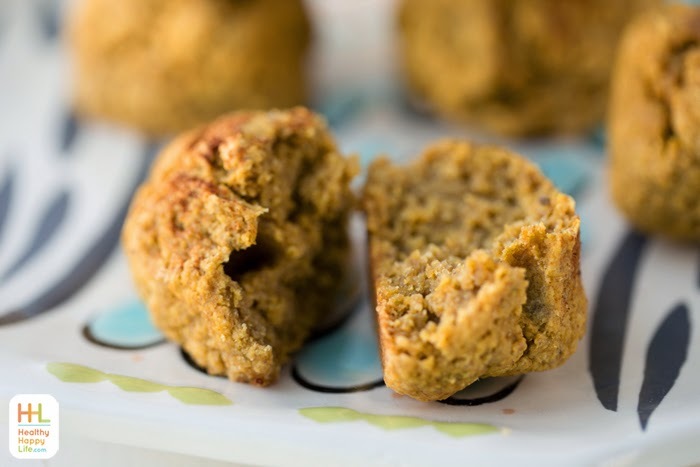 Maybe it is the fiber-ful rolled oats, the hearty chia seeds (ground in with the flour), the sneaky sweet apple blended in or perhaps it is just all that pumpkin puree goodness. Whatever the case, these cookies are yours to nibble anytime you please. 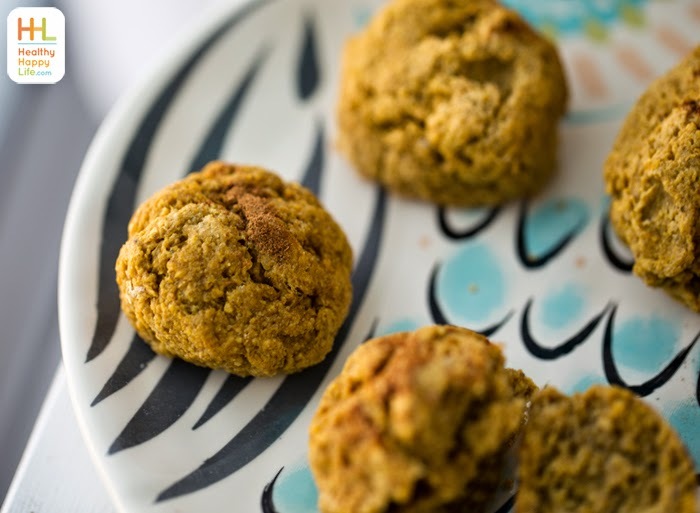 Serve these cookies paired with ginger tea, chai tea, coffee or a latte. These also make an excellent breakfast mini-meal replacement! Eat 2-3 cookies with a large beverage, juice or tea for a light yet filling, on the go breakfast bite. Add some fresh fruit and a few nuts (walnuts or Brazil nuts are my morning faves) for a heartier meal. 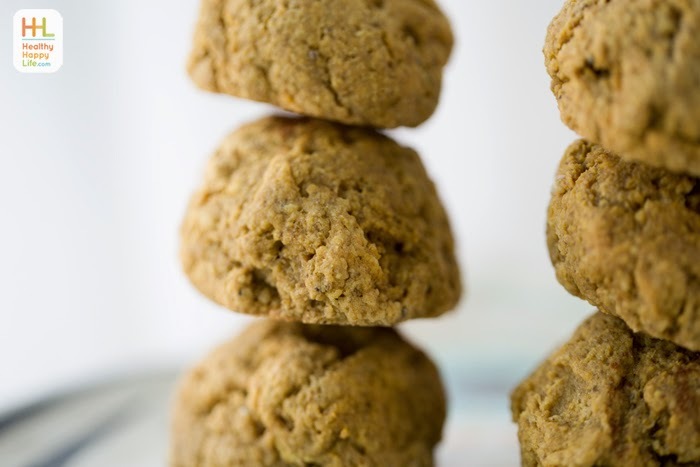 Why these cookies rock: all that whole food goodness! Pumpkin, apple, chia, oats - so much good stuff in there. Gluten-free too. 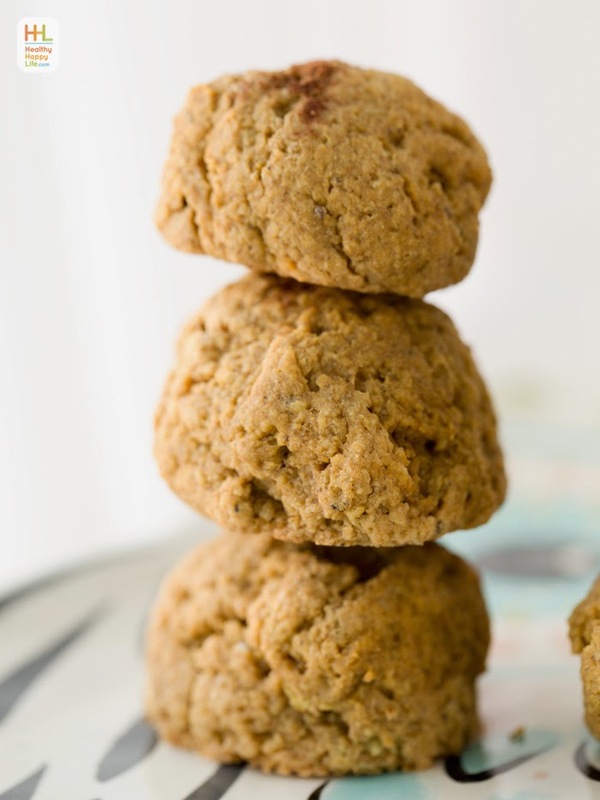 Tender round cookies filled with oatmeal-pumpkin-fall spice flavor. Add the oats, chia seeds and spices to a high-speed blender. Blend until the oats are a fine powder. Pour the dry oat mixture into a large mixing bowl. Stir in the salt and baking powder. Now add all the wet ingredients to the blender container, apple, vinegar, pumpkin puree, coconut oil, sugar, ginger and optional almond butter and vanilla. Blend from low to high until the apple is completely pulverized and mixture is smooth. Pour the wet into the dry bowl and stir until combined and a soft dough forms. Place the dough bowl in the freezer for 5-10 minutes to firm up the dough a bit for easier rolling into balls. While dough is chilling, grease a baking sheet with some coconut oil. Pull dough from freezer and roll dough into balls, You can get about 18 mini-pillows out of this dough or 12 medium sized pillows. Sprinkle some cinnamon on top of each ball and place baking sheet in the oven. Bake at 350 degrees for 18 minutes. Serve warm and tender from the oven. Store on the countertop in a sealed container for up to 2 days. You can also freeze these cookies to store and re-heat to serve.